The Switchbacks is a large area that incorporates a number of boulders and outcroppings just a few minutes from the road. 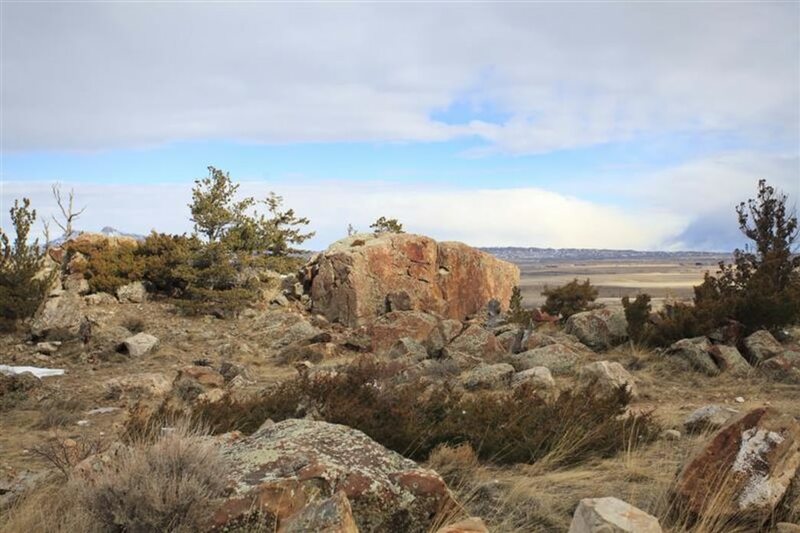 Just minutes from Cody, you’ll be out of your car in a flash and can start climbing pretty much a minute after after grabbing your gear because the best boulder in the area is also in the parking lot. The Switchbacks are located on the east side of Cedar Mountain. You'll have a great view of Cody. Try picking out local landmarks from up here. The area gets good sun so you can climb all year long. Due to the exposure, this area is best mornings or evenings during the summer, unless you want to fry. If you forget something in the car, it's not a total effort to go back because you're not more than five minutes away. Insanely easy access is the Switchback's claim to fame. The Wretch is practically within spitting distance of the parking lot. It's steep but the holds are good and you can get off the deck, but you're not highballing it. It's got difficulty - routes on the Wretch are V6/7-V10. 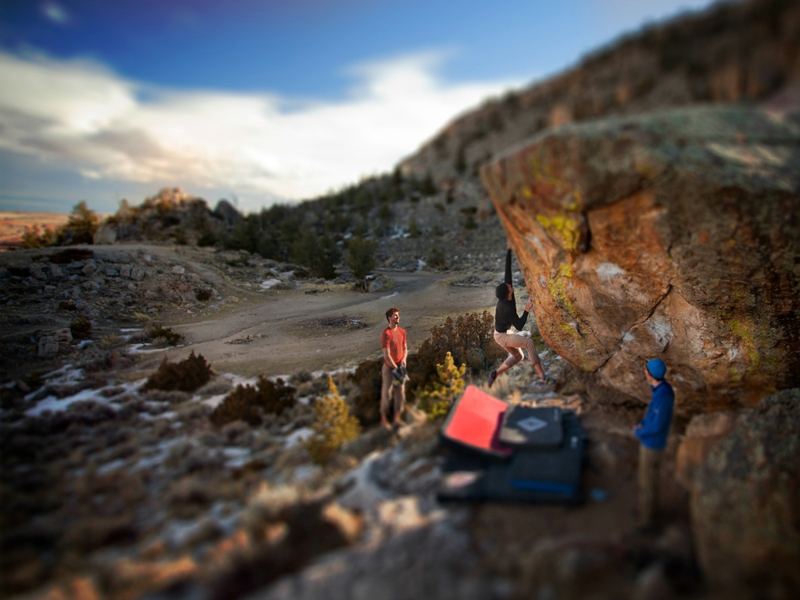 The top is solid making it an all around awesome boulder. Another bouldering area in the Switchbacks is the Maze just north of the Wretch. The Maze has several easier routes and historically was a very popular area. Recently it’s lost prominence in favor of other, more difficult areas. Plus the local party crowd tends to utilize the Maze since it’s near the parking area, but it might be worth a try. Also look for Blank Check, Dragonfly, Bad Habit and Isolated Boulders. Bush Draw is hidden from sight of the Cedar Mountain Road. Look for this area west of the first switchback, or you can access it from one of the first two parking areas after turning off from the highway and hiking uphill. The Switchbacks are perfect for a quick trip to get in some rock time on a tight schedule. You could work out the Wretch on a lunch break. There are many other boulders in the area which aren't as difficult so the ease of access and the wide range of difficulty come together to make this a good place for kids and beginners. There's plenty of parking and you can even camp if you'd like. From Cody, take US HWY 14/16/20 west 3.9 miles to the entrance to Cedar Mountain and the trail riding place. Turn left and continue up to the third switchback. Park in the obvious party zone and locate the Wretch to the northwest. The rest of the Switchback area is either north or downhill from the east end of the parking lot. This is Bureau of Land Management property so there are no fees and camping and leashed pets are allowed. There is no water and no restroom facilities though. Also be aware this is a high traffic area, i.e. you'll be sharing the road and parking along with hikers, mountain bikers and on the weekends the high school party crowd.